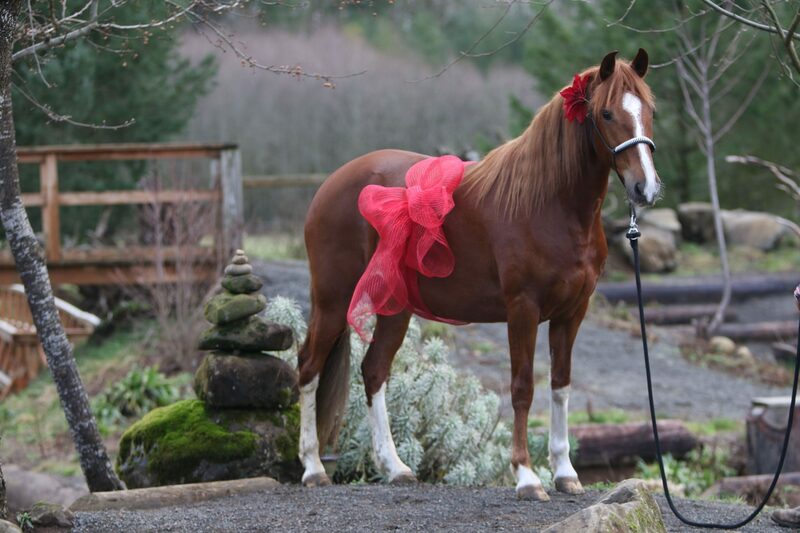 Lady is a 27 year old quarter horse mare, but she certainly doesn’t act her age! 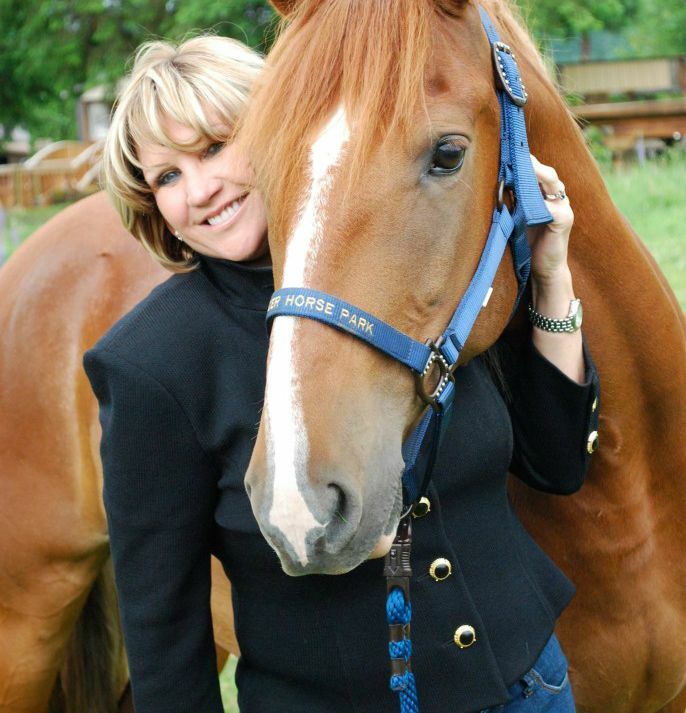 Lady was Mark’s first horse. 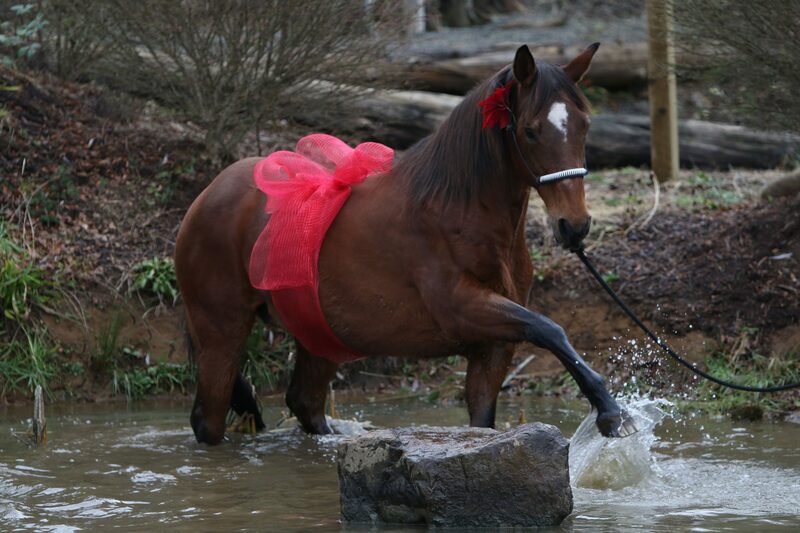 She was bought from Bud Schook as a six-year-old, because Mark “thought she was pretty.” Lady is blossoming in her golden years at the horse park, and occasionally takes guests for trail rides. 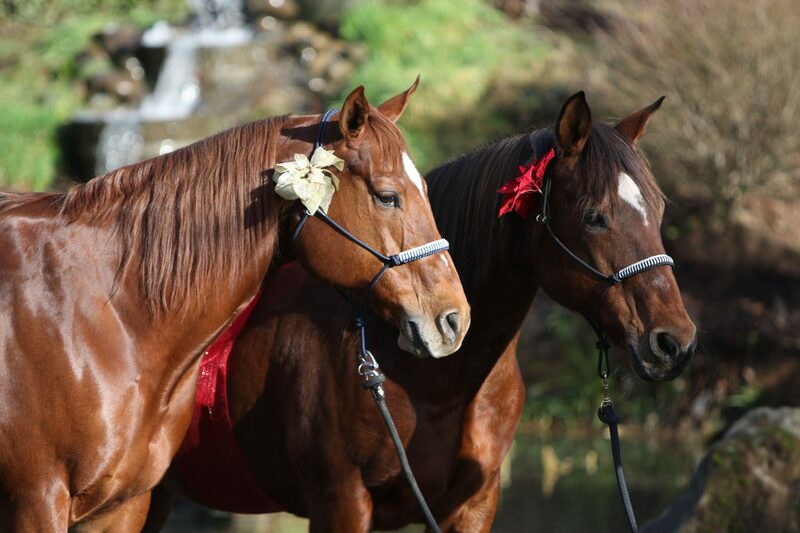 Checkers And Lady At Christmas, 2014. 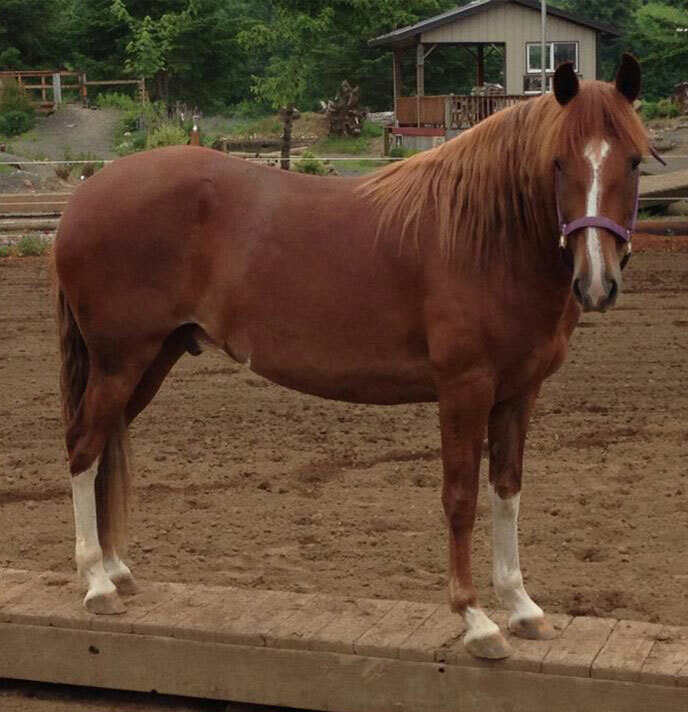 Checkers is a 14 year old quarter horse gelding. 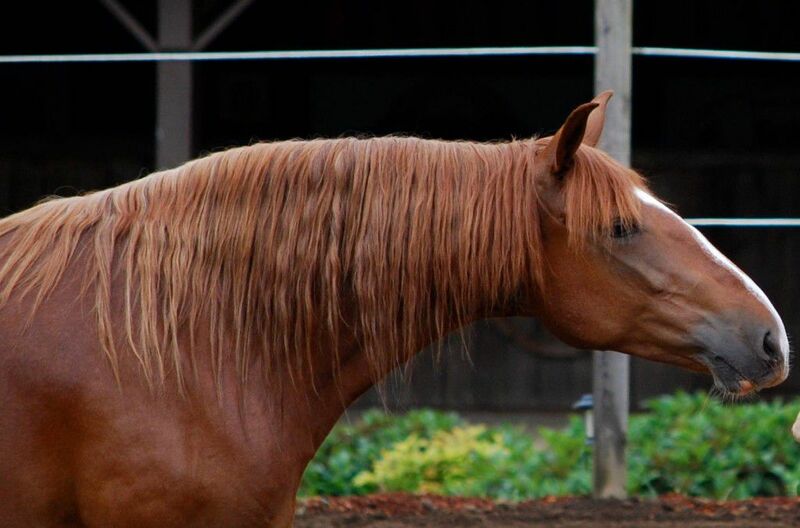 He was bred by Mark and has lived at Bolender Horse Park his entire life. 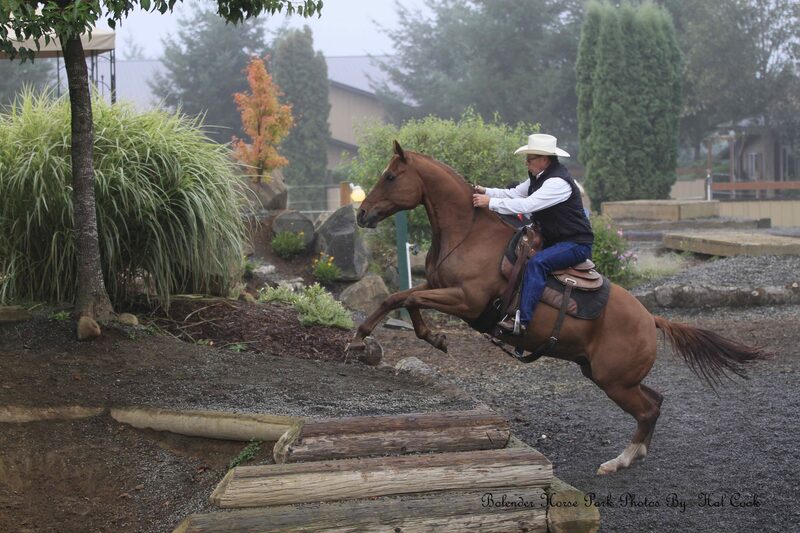 Checkers has done nearly every activity a horse can do, including jumping, Police Horse training, mounted shooting, and working cows in addition to Mountain Trail. 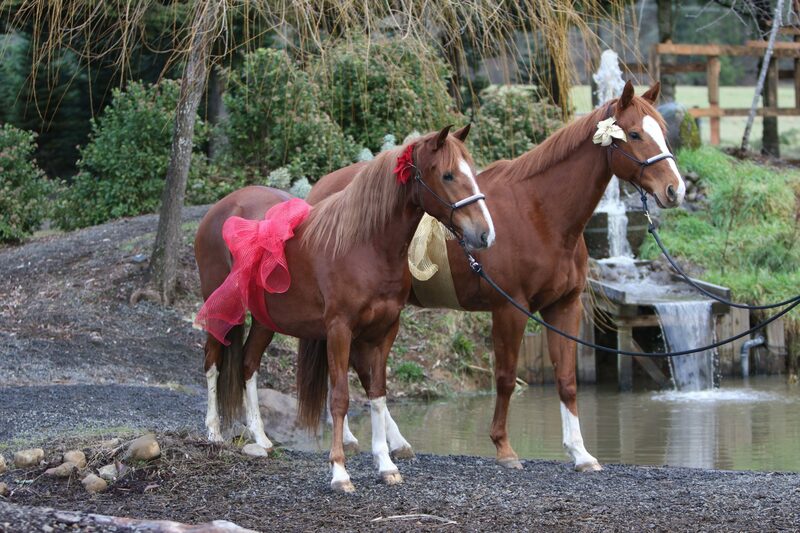 Checkers is an excellent teacher to both riders and other horses. 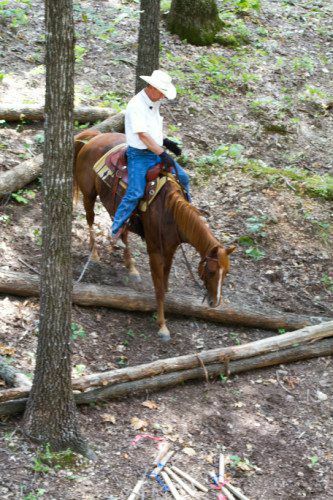 He enjoys guiding horses through Mountain Trail obstacles and showing them what they need to do. 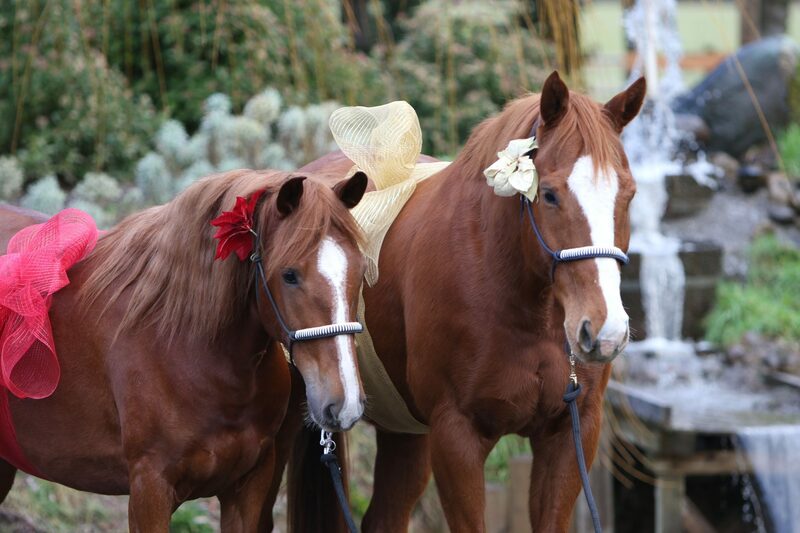 Horses at clinics and shows follow the example of an excellent partnership between Mark and Checkers. Mark Bolender has designed a trail course for La Estancia Alegre, and teaches clinics there frequently. La Estancia Alegre also holds Mountain Trail Challenges on their course. This is Joselito and his proud mom, Lee Bolender. Joselito waits for the magic balance beam to take him away. 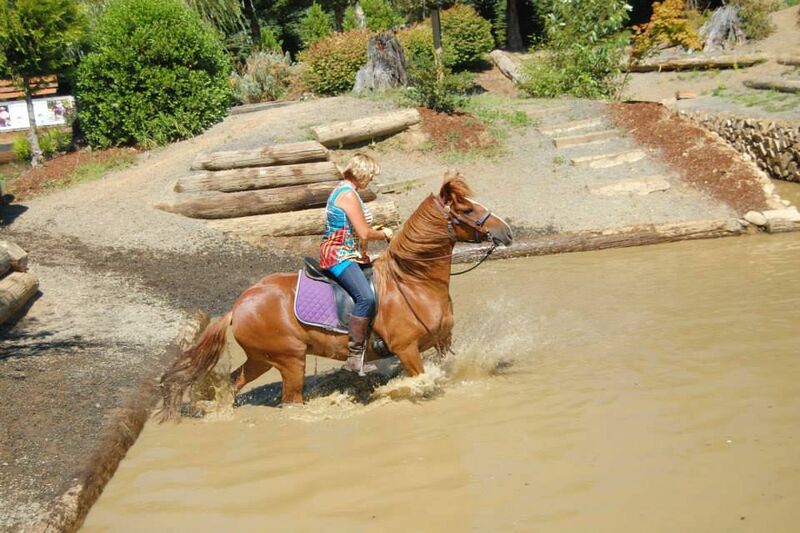 Joselito loves the water obstacles. 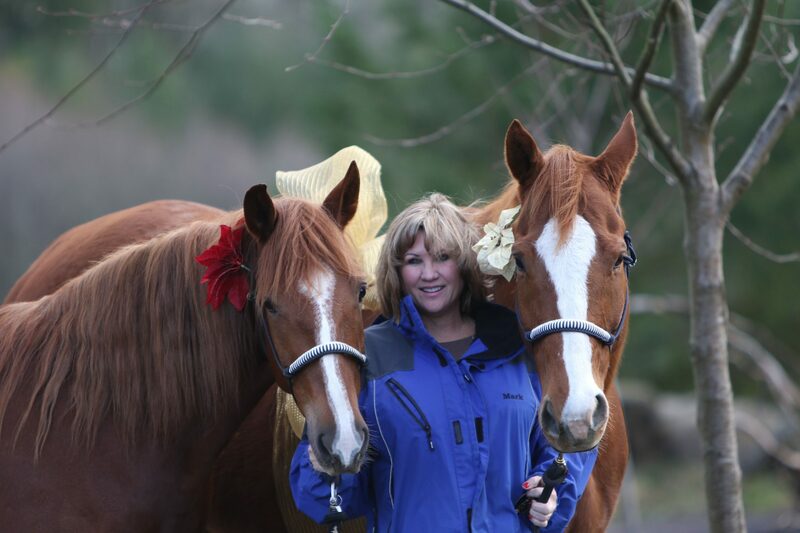 Lee Bolender and her boys.